Sorrel (Rumex acetosa) is a plant of the Polygonaceae family, related with buckwheat, rhubarb or bistort. Sorrel is a perennial herbaceous plant in warm areas. It can be found throughout most of the year. 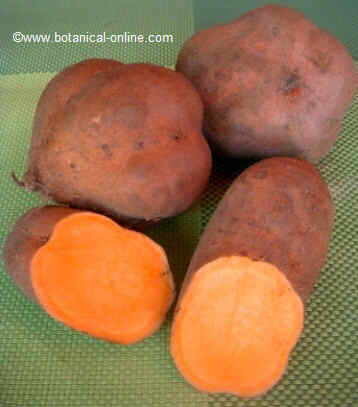 The leaves are rich in vitamin C, beta carotene and fiber. 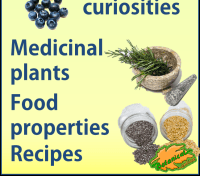 They also contain active ingredients such as anthraquinone and flavonoids. 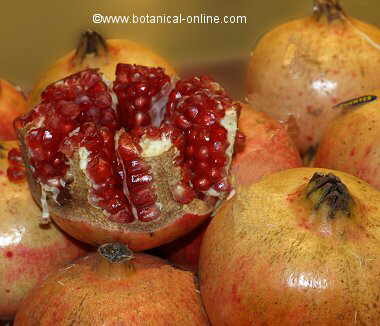 They have digestive, laxative, diuretic and slightly antibronchitic properties because of flavonoids. Sorrel leaves are eaten in salads, or they can also be cooked as spinach. The root was once used because it is very rich in chrysophanic acid, with antiseptic effect and strong purgative. 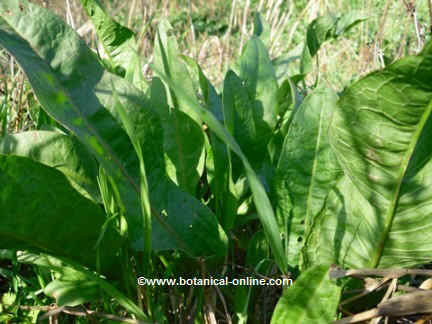 Sorrel leaves are the most used parts of this plant to be used as a remedy. They can be eaten or used tender or dry in internal or external preparations. – Digestive Tonic: in small doses, sorrel leaves increase muscle tone and secretions of the digestive organs. Its leaves, which are eaten in salads or stews, provide a characteristic acidic flavor that whets your appetite and improves stomach weakness. They are a snack remedy to treat hipocloridra indigestion and dyspepsia. (Take sorrel leaves in salads mixed with other salad leaves or stews). – Natural Laxative: sorrel is a plant rich in anthraquinone, an active principle which in high doses has strong laxative effect. Anthraquinones act on nerve endings in the intestine, stimulating peristalsis and increasing defecation needs. Sorrel can be taken for the treatment of occasional constipation. (Infusion of 1 teaspoon of dried leaves in a cup of water, three times a day. Do not take for more than 10 consecutive days). The plant should be used in moderation, because high doses can be purgative. It causes rapid evacuation of liquid stool, because of its cathartic properties (it accelerates defecation). These effects are due to the same components in senna or cascara sagrada, two purgative plants. – Respiratory system: Sorrel leaves are an important source of hyperoside, a flavonoid present in most antibronchitic remedies, such as coltsfoot and St. John’s wort. Anthraquinones and other flavonoids provide its antispasmodic qualities, being a bechic remedy that relieves cough. 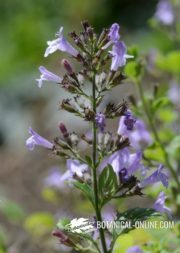 We recommend combining it with plants rich in mucilage that help soften the airways for the treatment of cough, like plantain or mallow leaves and flowers. – Antioxidant: Sorrel contains more beta carotene than carrots. It is an excellent vegetable for the body as it helps to improve the appearance of the skin. Besides vitamin C, it also contains beta carotene, acting as a restorative for blood vessels and preventing cardiovascular diseases such as atherosclerosis and hypertension. – Cholesterol: Fiber from the leaves of sorrel, an excellent winter vegetable, helps reduce cholesterol in the body, especially during the cold season when we tend to eat fatty foods like nuts, butter, etc., or to balance the excesses of Christmas. (Enter this vegetable in your cleansing diet). – Diuretic: Cooked sorrel leaves have a pleasant and refreshing taste, with a slight diuretic effect because it contains potassium and flavonoids (hyperin and hyperoside). Consumption may increase diuresis and help eliminate fluid retention. – Contraindications ! due to the high oxalate content of this vegetable is not recommended for people with heartburn, arthritis, rheumatism, gout or those who have or have had kidney stones. * More information on contraindications of sorrel. 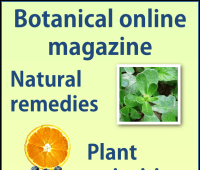 – Natural Antiseptic: The whole plant and especially its root is rich in emodin and chrysophanol with antiseptic properties that can help treat skin infections and herpes. 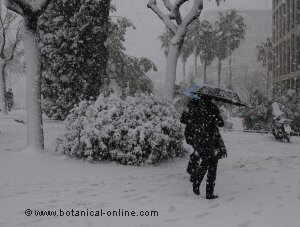 The leaves are pounded with fumaria to treat ringworm and urticaria as a result of the analgesic effect of hyperoside. – Healing: Sorrel is a plant rich in vitamin C and fiber demulcent soothes and relieves tissues. It helps heal wounds. 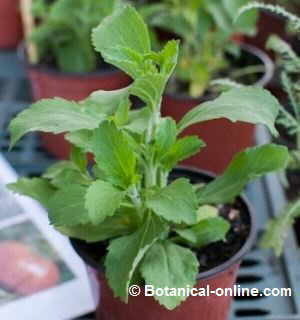 – Anti-inflammatory: Apply fresh leaf poultice on swollen and tired feet. It is indicated for skin damages such as acne, sores and inflammation. Boiled leaves can be applied as a poultice on the affected area. The root is applied to bruises and blows.